The WiFiRanger EliteAC pack combines the new GoAC with an outdoor long-range WiFiRanger EliteAC - this one is the pole-mounted version. 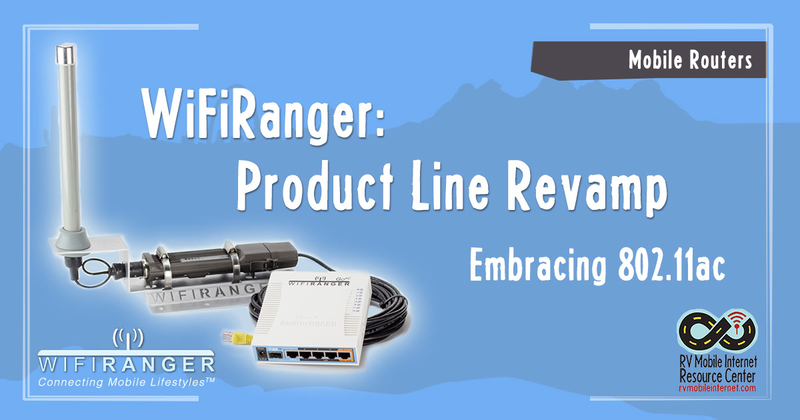 WiFiRanger has a long history of serving the RV market with indoor routers and roof-mounted long-range gear that many have come to rely on. The simplified user interface, RVer friendly features, and customer service that is willing to dive into troubleshooting unique issues such as problems with connecting to campground Wi-Fi login screens has always set WiFiRanger apart. One area we've personally been most frustrated with WiFiRanger gear in the past has been around local networking within an RV - with all WiFiRangers to date lacking support for 5GHz Wi-Fi or gigabit ethernet to help build a faster local LAN. But today that is changing - and WiFiRanger is revamping its entire product line to take advantage of the latest in Wi-Fi technologies - in particular 802.11ac. 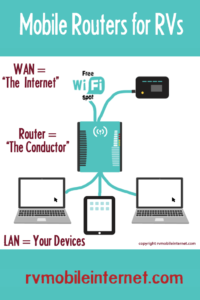 WiFiRanger routers are in a class of products we refer to as 'Mobile Routers' that can help you combine multiple sources of mobile internet into one hub that all of your local devices can then share over a private Wi-Fi or wired network. 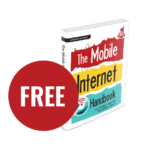 This is more of an advanced solution than just connecting to a basic Jetpack or MiFi hotspot, and not always appropriate for everyone. 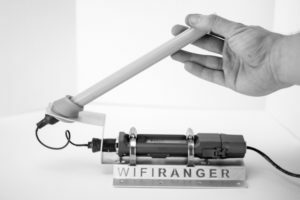 The WiFiRanger product line in particular is optimized for long range external Wi-Fi networking (like campground WiFi), as well connecting to cellular mobile hotspots. WiFiRanger's focused target market is RVers. 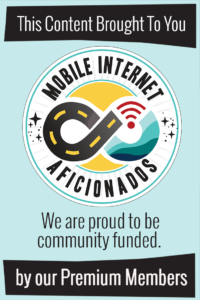 The letters included in the Wi-Fi compatibility logo indicate which network standards are supported. 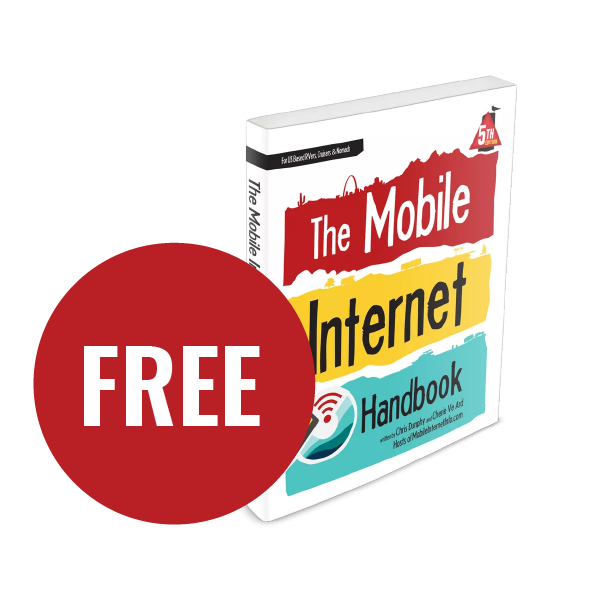 There have been several Wi-Fi technical standards and two communication frequency bands that have been defined over the years. 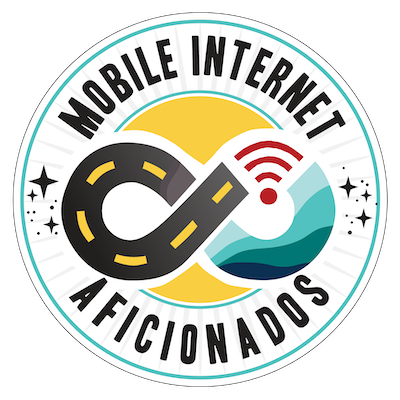 Devices will attempt to communicate with a router with the fastest and most advanced standard that they both mutually support. 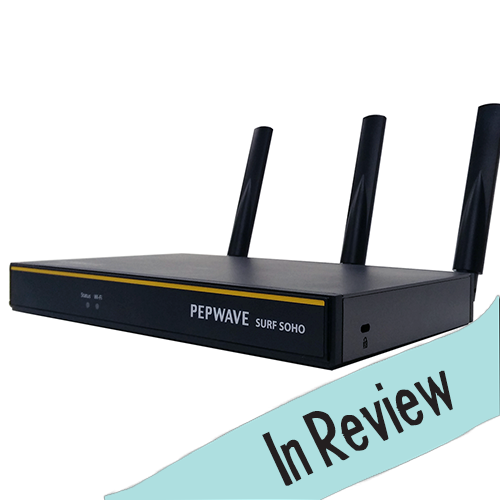 2.4GHz - This Wi-Fi band is more universally compatible, has longer range, and is better able to penetrate walls. But since there are only three fully distinct 2.4GHz channels, in crowded areas 2.4GHz Wi-Fi can get slow and unreliable if there are a lot of competing networks. This band is also subject to interference from microwave ovens and even from Bluetooth devices. 5GHz - This higher-frequency band is not as widely supported (particularly by older, cheaper, or smaller devices), but it can enable much faster speeds. The 5GHz band is also a lot less subject to interference from other devices, microwave ovens, or other nearby Wi-Fi networks. Many routers support just 2.4GHz Wi-Fi, and others support both bands - but you can select only one band at at time that is active. This means that if you have any 2.4GHz-only devices on your network, you will be unable to take advantage of 5GHz without cutting them off. The best routers support "simultaneous dual band" usage - letting both bands be active at once, giving you the best of both worlds. 802.11n – The 802.11n standard (finalized in 2009) upped the maximum raw Wi-Fi connection speed to 150Mbps, and 4-stream MIMO allowed compatible devices to achieve up to 600Mbps using multiple antennas. The 802.11n standard supports both 2.4GHz and 5GHz frequency bands, but 5GHz support is optional, and many 802.11n routers only support 2.4GHz. 802.11ac – The 5GHz-only 802.11ac standard (finalized in 2013) provides for peak Wi-Fi speeds starting at 433Mbps and going up to well over 1Gbps. Most 802.11ac gear simultaneously supports 802.11n on 2.4GHz for backwards compatibility too. Though much current gear is still 802.11n only, for better speeds and increased future compatibility it is great to see 802.11ac finally starting to come to mobile routers. The roof-mounted WiFiRanger SkyPro (left) and indoor Core (right). WiFiRanger has two new indoor routers - the basic WiFiRanger Core which appears to be replacing the WiFiRanger Mini in the product lineup, and the more advanced GoAC that is replacing the WiFiRanger Go2. The WifiRanger Core WiFiRanger's new baseline interior router, replacing their previous Mini version. 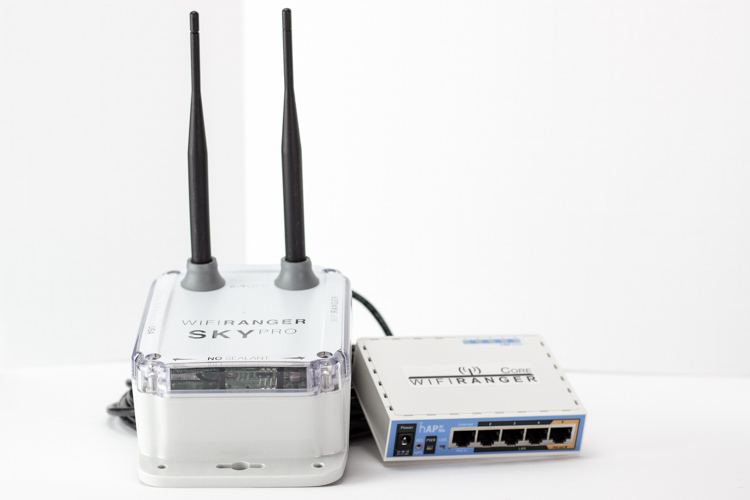 It is not only a a substantial upgrade from the Mini, but also from the previous WiFiRanger Go2 - providing 801.11ac support and multiple fast ethernet ports. The "dual-chain" indicates that there are two 802.11n antennas, allowing for a peak theoretical speed of 300Mbps. And on 5GHz with 802.11ac, the single chain radio should have a peak theoretical speed of 433Mbps. Both Wi-Fi bands can be active simultaneously, allowing for all your local devices to connect - no matter what they support. The basic Core router has USB support for tethering to cellular devices, and a regular speed 100Mbps ethernet ports. At this price point, it's a great value for a feature packed unit. The GoAC is WiFiRangers new flagship indoor router, and with simultaneous triple-chain radios on both 2.4GHz and 5GHz bands that should allow for 450Mbps 802.11n and a blistering 1300Mbps on 802.11ac. The gigabit ethernet ports will be handy for keeping your local wired network up to speed too. We recommend considering first if you really need the faster WiFi and Gigabit ports the GoAC offers, and if the Core will serve your needs at nearly $200 less. Pepwave SOHO vs WiFiRanger GoAC? The new Pepwave Surf SOHO and the WiFiRanger GoAC on paper have very similar specifications - with five gigabit ethernet ports, USB tethering to cellular devices, and fast 3x3 MIMO 802.11ac Wi-Fi. The one feature that sets the WiFiRanger products apart is that they can directly power and control a paired long-range Wi-Fi radio on the roof - important if if long range Wi-Fi is your goal. 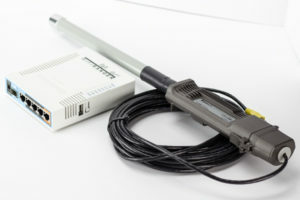 You can actually use the Surf SOHO ethernet WAN port to connect to a roof-mounted CPE (even to a WiFiRanger) by using a separate POE power supply, but the integration is more complex and managing it will require two different control panels. At $179, the Pepwave Surf SOHO is half the cost of the WiFiRanger GoAC, which costs $349. The Surf SOHO undeniably offers a lot of capability for the price. We will be sharing our head-to-head performance testing results and impressions in our member forums and in our mobile routers review center. The Sky2 (left) and the WiFiRanger Core (right). Though all WiFiRanger indoor routers support "WiFi-as-WAN" to connect to and extend the range of an upstream network, if you really want to optimize for connecting to a remote network at a campground or while driveway surfing you will be much better off with a dedicated roof-mounted radio for the job. This has always been WiFiRanger's focus - selling combo packs that function through a single user interface so that they are relatively simple to use. 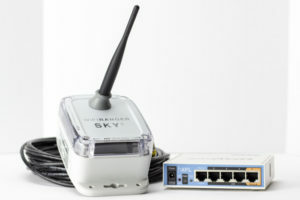 The Sky2 is the one current product continuing on with WiFiRanger. 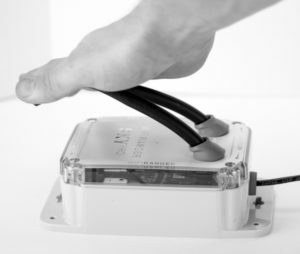 It is a basic 802.11n roof-mounted radio in a low-profile box with a flexible antenna that should be able to handle almost any tree-branch abuse. It now comes packaged bundled with the Core, though it will presumably be available separately. The new SkyPro has "Flex-Guard" antennas that should shrug off a low tree branch hitting them. 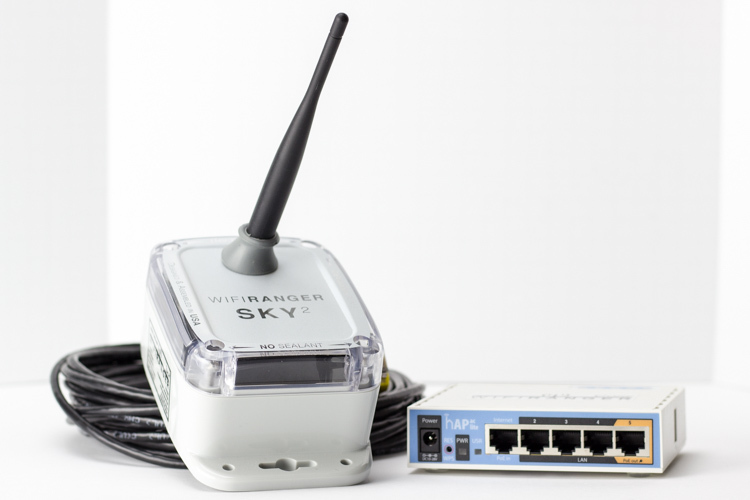 The new SkyPro is more powerful than the Sky2, and is equipped with a second antenna for increased potential speed and signal sensitivity. If this package lives up to WiFiRanger's range claims, this should prove to be a great system for many RVers. It comes packaged bundled with the Core, though you can request an upgrade to the a GoAC instead when ordering with WiFiRanger. For those wanting all the bells and whistles, we expect that the GoAC and SkyPro will prove to be a very popular unofficial combo. WiFiRanger's new Flex-Guard antenna on the flat-mount EliteAC should be able to handle most tree branch strikes without damage. Replacing the current WiFiRanger Elite, the EliteAC has a dual-band single-chain 802.11ac radio that can pick up remote 5GHz or 2.4GHz signals. Some campgrounds use 5GHz to communicate between their own distributed access points and the central office, and the EliteAC might allow you to tap into this raw signal without all the 2.4GHz congestion - but overall so far 5GHz seems to be relatively rare for long-range public Wi-Fi. For $50 more, the EliteAC is also available as a "Flat Mount" package with a flexible lower profile antenna mount that can better withstand the challenges of being permanently mounted on an RV roof. The single-chain EliteAC will likely be outpaced by the dual-chain SkyPro at shorter ranges, but the more powerful antenna should give the EliteAC an advantage at longer range. The radio power in the SkyPro and EliteAC are matched at 1000mW, but the SkyPro has 5dBi antennas compared to the EliteAC 6dBi antenna. We are looking forward to doing some head-to-head tests to see the differences for ourselves. WiFiRanger has announced that they will begin taking preorder for the new products this Wednesday evening, November 23rd. The new gear will begin shipping on December 5th. You can order on the WiFiRanger website. 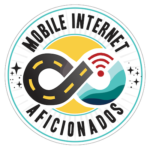 We will begin sharing performance testing results and impressions in our member forums and in our mobile routers review center. "There are discount options that will be available to existing customers, however those are not officially defined as of yet." Stay tuned for the official details.